Yesterday I posted a picnic bento with a disgusting Halloween themed food: severed hot dog fingers. These nasty looking things are actually quite tasty and Baby Girl had no problem saying, “Can I have another finger?” at our little picnic. Since I’ve gotten really great feedback on them, I’ve decided to post a tutorial. First you’ll need some Oscar Mayer weiners. Tear them in half. If you want them to look cut, slice them, but if you want them to look torn off, just break them. Cut three shallow slices into the middle of each. To do this quickly, you can line up several fingers and cut across all of them with your knife at once. Next, you’ll need to boil these in a soy sauce and sugar mixture, which will accentuate the slits and darken the fingers. Use 1/2 cup each of water, sugar, and light soy sauce. Bring to a boil and then let them simmer for about 20 minutes. 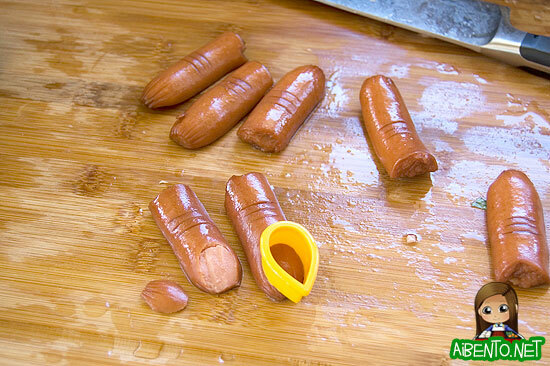 After they’ve cooled, take a teardrop or oval cutter and gently press down on the rounded end of the hot dogs to make the cut for the fingernail. 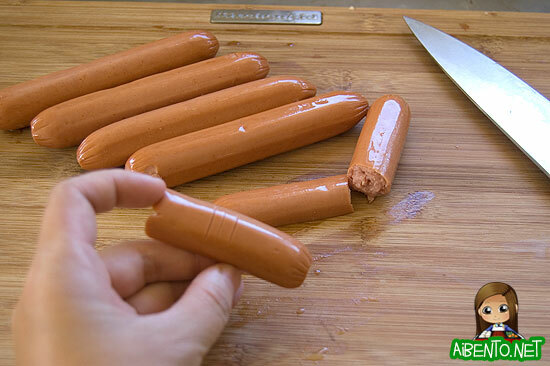 You’re just cutting through the hot dog’s “skin” so don’t cut carefully. Then just take a knife and slice skin off the oval/teardrop shape. This forms the fingernail. Voila! You’ve got yourself some disgusting hot dogs! This would probably also make great Halloween party hors d’oeuvres! If you don’t want to boil them in the sauce, just boil them and then serve with bloody ketchup, though I don’t know how well the lines will show up. 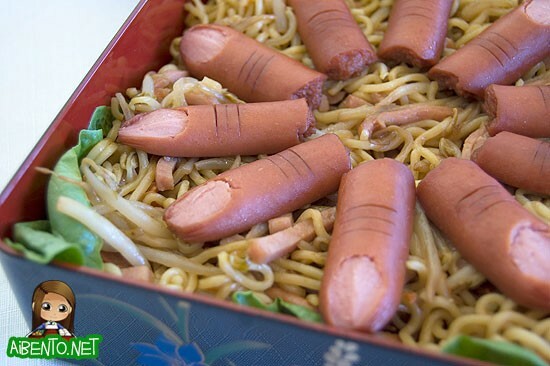 Serve on a bed of fried “intestines” for just the right gross effect!